Now that the weather's warmer, it's time for kids to get outside and play, I keep plenty of outdoor toys on hand for when the young'uns come over. If they're entertained, it's less likely they'll complain they're bored or want to be in the middle of adult conversations. 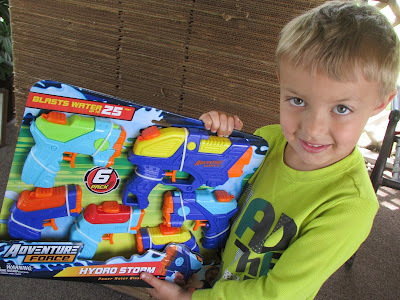 The Adventure Force Hydro Storm Water Guns are outdoor toys that are sure to keep kids active in the warm weather. 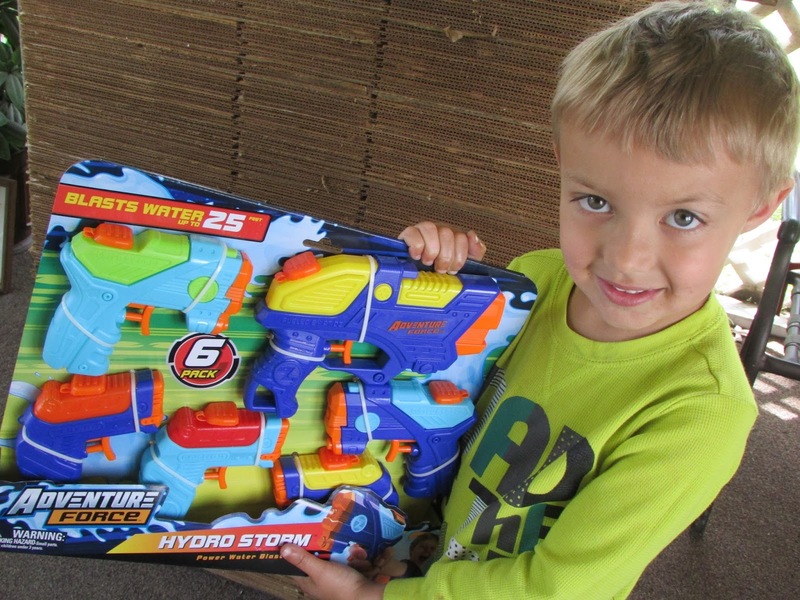 These compact water blasters offer a great value and high performance for any water battle. 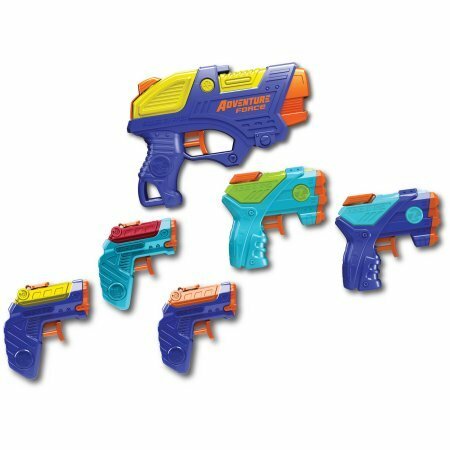 This set includes six water blasters of different colors and sizes. There's one larger gun, two medium-sized ones, and three smaller ones. Before they can be played with, an adult will need to use scissors and patience to cut many zip ties to release the guns from the package. 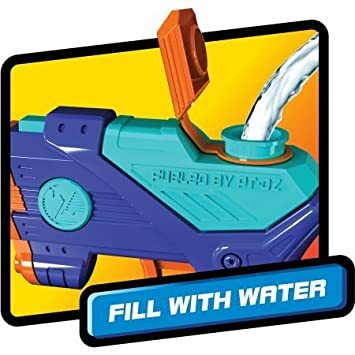 To play with the guns, you just need to fill the tops with water and then push down on the opening to secure it closed. 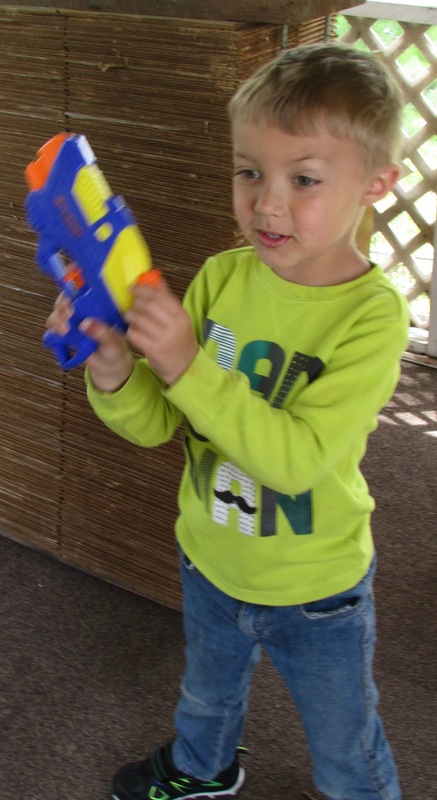 Then pull at the trigger to spray away! The blasters project water up to 25 feet. The guns are made of hard plastic and so far have been built to last. They're a fun way to keep several kids entertained, and even cooled off on a hot day.